Maria is a Licensed Esthetician and Massage Therapist with almost two decades of experience. She is also a Reiki practitioner and an Aromatherapy enthusiast. 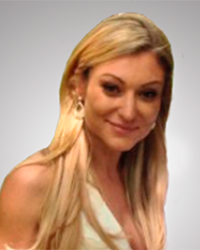 Maria believes that true radiance comes from within and approaches each treatment from a holistic perspective. 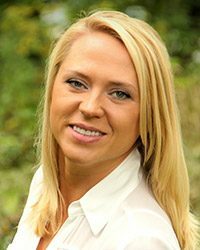 She holds a Bachelor’s Degree in Psychology and is certified as a Wellness Coach by the Institute for Integrative Nutrition. She has traveled extensively throughout Europe and lived for extended periods in England and Germany. To restore, she enjoys spending time with her family, connecting with nature, practicing yoga or meditating. 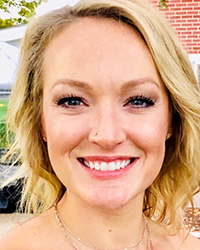 Renee is a Licensed Esthetician with almost 10 years experience, and has a deep passion for helping people address and treat their skincare concerns and needs. She is a graduate of De’Rielle Academy and is knowledgeable in complete skincare of the face and body, full body waxing, and makeup artistry. She has also had extensive education in skin disorders and conditions, internal and external holistic healing practices, and advanced makeup applications. Renee is a wife and mother of two beautiful little boys. She enjoys exercising, art, and traveling. She looks forward to helping you achieve overall wellness and balance of the body so your natural beauty can shine through. Lisa is a Licensed Esthetician and Massage Therapist with over 15 years in the spa industry. Lisa customizes each treatment as a blend of various techniques to be the best fit for each client and his or her needs. Lisa has extensive training and experience in the following massage modalities: swedish/deep Relaxation, deep tissue, pregnancy, hot stone, ashiatsu, reflexology and Chinese cupping. 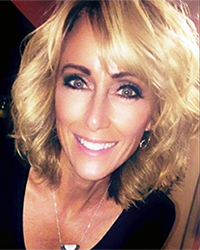 Lisa brings the ability to combine massage therapy and facial care to provide our clients with the best of both worlds. Lisa loves to remain active and is pursuing certification as a yoga instructor. Gretchen is a very knowledgeable and experienced Esthetician, who continually strives to learn new skills that will enable her to better serve her clients. Gretchen devotes a significant amount of time to continuing education and training to keep her knowledge up-to-date and enjoys passing that knowledge on to her clients. She comes to Beyond Beauty with extensive experience working in a medical esthetic setting and holds numerous advanced certifications. Originally from Central Pennsylvania, Gretchen spent time living and working in Denver, Colorado. Outside of work, Gretchen is a proud mom and loves spending time with her 9-year-old daughter. She also loves to work out, practice yoga and take barre classes. Hailey joined us as a receptionist in December of 2018 and has already proven to be a valued member of our team! 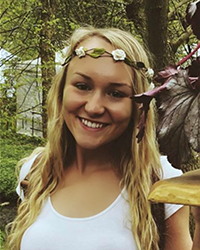 A recent graduate of Cedar Cliff High School, Hailey is currently an honors student at HACC studying Business Administration. She hopes to transfer to Penn State Harrisburg after a few more credits. In her free time she baby-sits (both kids and pets 🙂 ), loves to garden, experiments with Pinterest recipes and creates beautiful acrylic paintings. She also loves to go on long runs and regularly attends meditation classes with her mom. She hopes to one day get certified as a meditation instructor and to travel before settling down somewhere in Colorado. Get a $10 coupon good toward your first Body Treatment, LED Facial or Microdermabrasion! *New clients only. Coupon cannot be combined with other offers. One per household, please. Not redeemable for cash.